Extended service Plan And Finance Available. Please bring this ad with you to get the promotional discount price. While we try to make sure that all prices and options posted here are accurate at all times, there may be some typographical errors that may appear on the site. If the posted price or options for a particular vehicle or service is incorrect due to typographical or other errors, Motor Team will endeavor to provide the correct information as soon as the mistake/error is discovered. However, this dealership cannot be responsible for such typographical errors. Listed Price excludes government fees and taxes ,any finance charges ,any dealer document preparation charges. THIS SALE PRICE EXPIRES THE NEXT DAY OF THE ADD....THIS PRICE VALID FOR WELL QUALIFIED BUYERS OR CASH BUYERS ONLY. 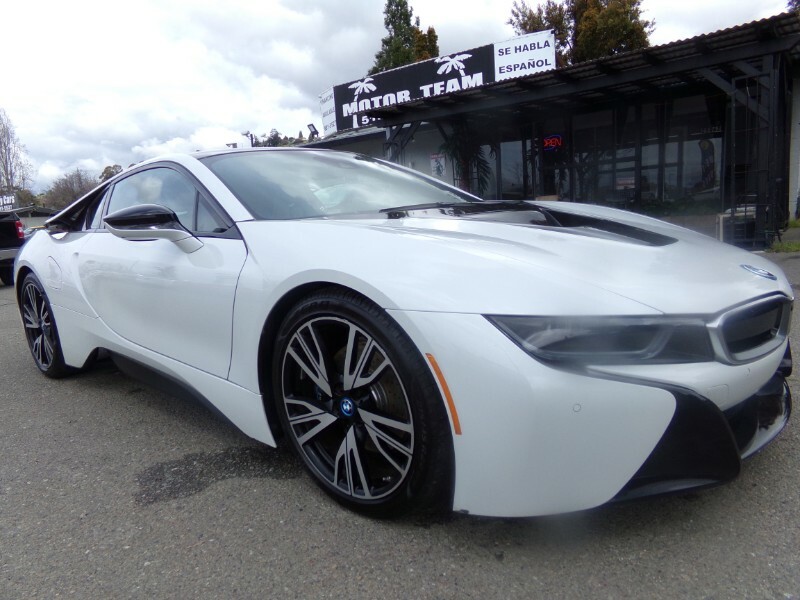 Message: Thought you might be interested in this 2015 BMW i8.
. THIS SALE PRICE EXPIRES THE NEXT DAY OF THE ADD....THIS PRICE VALID FOR WELL QUALIFIED BUYERS OR CASH BUYERS ONLY.